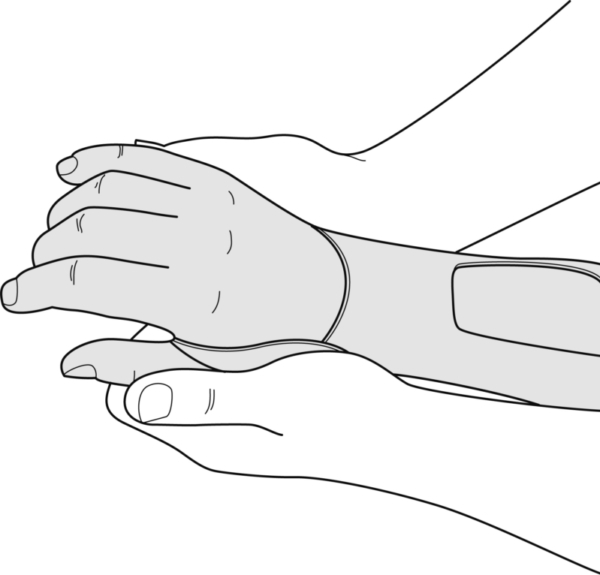 Immobilization of the wrist in a functional or antalgic position. slide the edge of the opening up to the wrist. 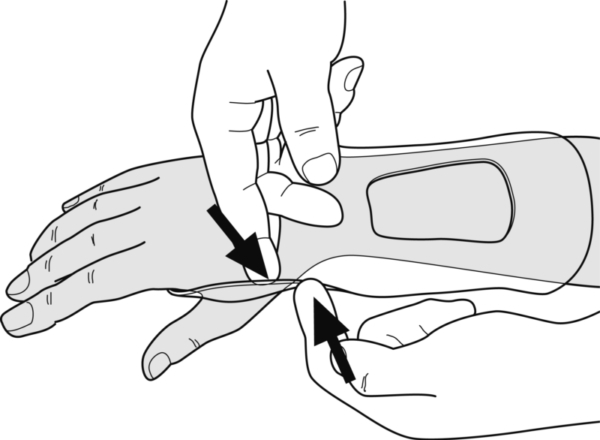 Do not let the palmar support turn round. Fold the lateral wings one after each other upwards so that there is a gradual transition from the palmar to the dorsal side. Press the wings together to stick them together, while holding the desired starting position. 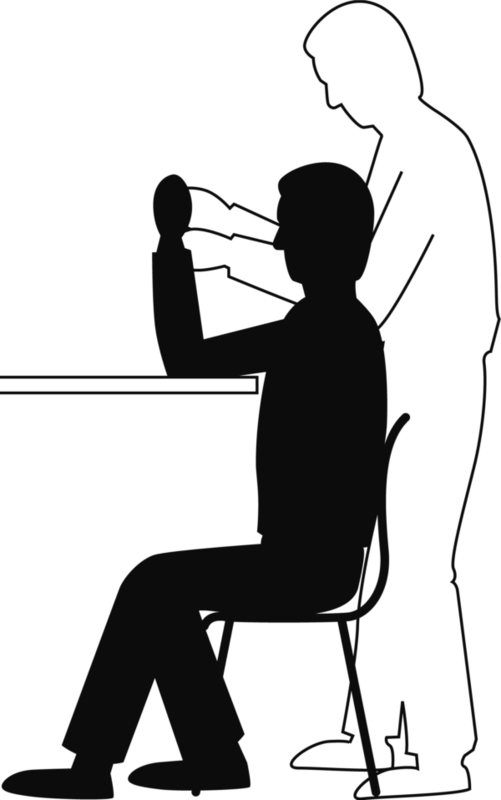 Finishing: Pay particular attention to the proper finishing of the portion along the first web space, to the dorsal edge at the level of the wrist, and to the shape of the ulnar styloid process. 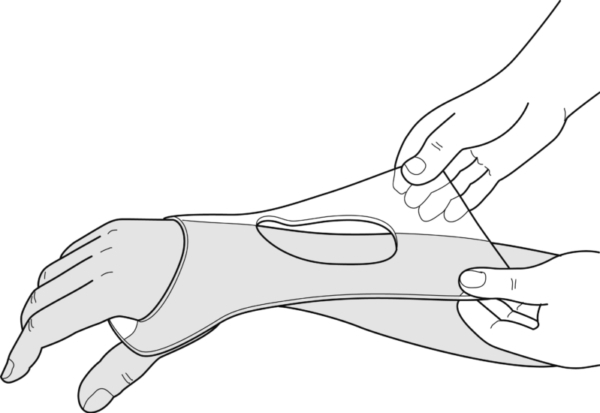 Fixation: One broad strap applied to the proximal end. Optionally, a narrow strap around the wrist.